Beyond the Barricade features a cast of more than 80 talented performers. Photo: Paul Fox. Following a spectacular four-night sell-out run in Ballina, the breathtaking musical production, Beyond the Barricade, comes to the Royal Theatre, Castlebar, on Friday and Saturday, January 16 and 17, in aid of Mayo Roscommon Hospice. 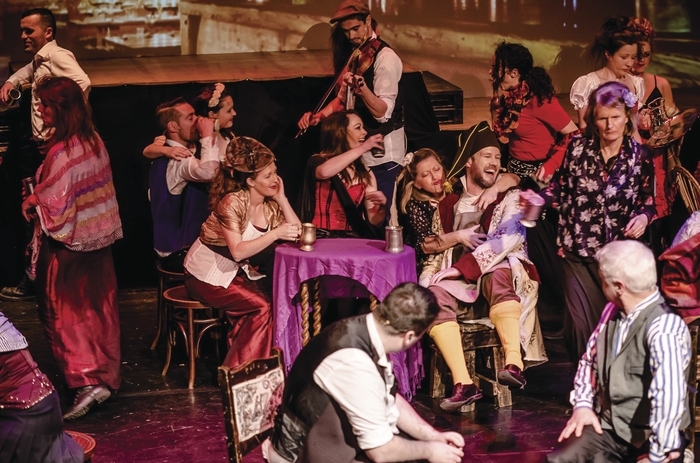 Directed by Lavinia Gilmartin, Beyond the Barricade features the cream of Mayo’s musical talent with a cast of more than 80, including world champion and award winning performers. The show’s Ballina run sold out in a matter of days and generated rave reviews. The overwhelming response and demand for more shows has resulted in the group being invited to take Beyond the Barricade to the county town for another two-night run in the Royal Theatre next week. Set against the backdrop of 19th-century France, Beyond The Barricade tells the story of ex-convict Jean Valjean (Patrick Lacken ), who is hunted for decades by the ruthless policeman Javert (Michael Slater ) after he breaks parole. When Valjean agrees to care for factory worker Fantine’s (Tara Doherty ) young daughter, Cosette, their lives change forever. Beyond the Barricade features show-stopping classics from the musical phenomenon that is Les Miserables including ‘I Dreamed A Dream’, ‘Bring Him Home’, ‘One Day More’, ‘Master of the House’ and ‘On My Own’ to name only a few. This is a performance not to be missed. All proceeds from the production are being donated to Mayo Roscommon Hospice.